Find out if you meet the criteria for free checking, otherwise find online banks and community banks they still offer free checking without all the requirements to qualify. A thing to remember is that online banks pay higher interest on your savings accounts. Some credit-card companies now charge up to 5% for balance transfers. Know if there are any transfer fees before making the transfer effective even if the offer is for a low or 0% introductory rate. The discount cards usually come with higher interest rates than traditional credit cards. Credit-card rules prohibit card issuers from charging $25 for a first-time late payment, issuers can charge $35 if you’re late a second time within six months. To avoid these fees, sign up for payment alerts from your credit-card company. Most rewards cards charge an annual fee. However, there are cards such as Capital One No Hassle Miles Rewards, Chase Sapphire Card, and Pen Fed Visa Platinum Cash back Rewards with great perks and no fees. Calling 411 can cost $1.25 or more. For free directory assistance call 1-GOOG-411 or 800-FREE-411. Unless you fly on Southwest or JetBlue, you’ll have to pay a fee to check even one bag. Try sending your luggage to your destination by FedEx, UPS or U.S. Postal Service Ground Shipping. Book your flights online to avoid this fee. Sign for prepaid service and save money because these plans usually are cheaper. Cell-phone roaming and international charges are high (up to $2.49 per minute); access your voicemail $4.99(even for a missed calls); sending a video while roaming is about $7. These are all easy ways to begin to make your money work efficiently, remember with all that savings you can be more equipped to begin investing and financially planning your future. Adoption can create new families or expand existing ones. The expenses of adopting a child may also lower your federal tax. If you recently adopted or attempted to adopt a child, you may be eligible for a tax credit. You may also be eligible to exclude some of your income from tax. Here are ten things the IRS wants you to know about adoption tax benefits. 1. The maximum adoption tax credit and exclusion for 2012 is $12,650 per eligible child. 2. To be eligible, a child must generally be under 18 years old. There is an exception to this rule for children who are physically or mentally unable to care for themselves. 3. For 2012, the tax credit is nonrefundable. This means that, while the credit may reduce your tax to zero, you cannot receive any additional amount in the form of a refund. 4. 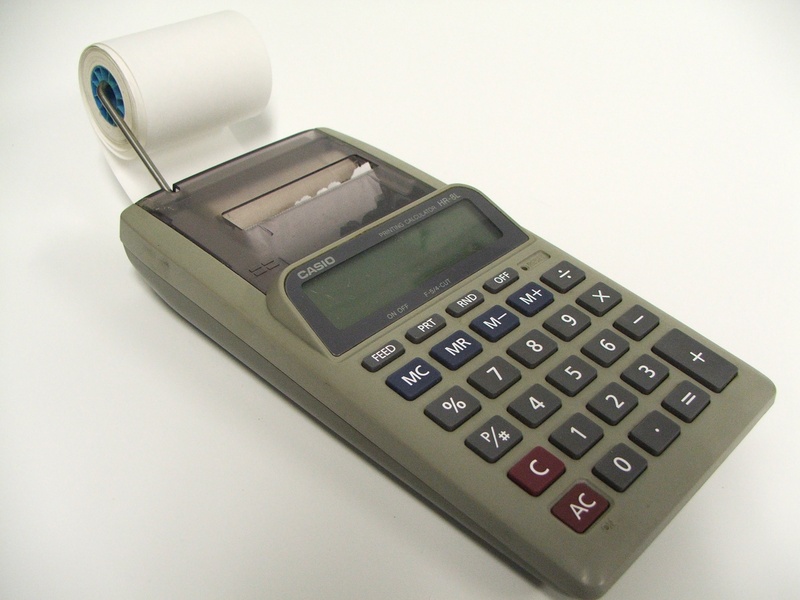 If your credit exceeds your tax, you may be able to carryforward the unused credit. This means that if you have an unused credit amount in 2012, you can use it to reduce your taxes for 2013. You can carryover an unused credit for up to five years or until you fully use the credit, whichever comes first. 5. Use Form 8839, Qualified Adoption Expenses, to claim the adoption credit and exclusion. Although you cannot file your tax return with Form 8839 electronically, the IRS encourages you to use e-file software to prepare your return. E-file makes tax preparation easier and accurate. You can then print and mail your paper federal tax return to the IRS. 6. Adoption expenses must directly relate to the legal adoption of the child and they must be reasonable and necessary. Expenses that qualify include adoption fees, court costs, attorney fees and travel costs. 7. If you adopted an eligible U.S. child with special needs and the adoption is final, a special rule applies. You may be able to take the tax credit even if you did not pay any qualified adoption expenses. See the instructions for Form 8839 for more information about this rule. 8. If your employer has a written qualified adoption assistance program, you may be eligible to exclude some of your income from tax. 9. Depending on the adoption’s cost, you may be able to claim both the tax credit and the exclusion. However, you cannot claim both a credit and exclusion for the same expenses. This rule prevents you from claiming both tax benefits for the same expense. 10. The credit and exclusion are subject to income limitations. The limits may reduce or eliminate the amount you can claim depending on your income. Remember always ask your tax professional how major life changes, marriage, divorce, adoption, growth in family affect your tax liability. Many times we don’t think of how our personal lives affect our monetary bottom line but it’s about time we start to think of how to put ourselves in a more advantageous position. Refunds totaling just over $917 million may be waiting for an estimated 984,400 taxpayers who did not file a federal income tax return for 2009, the Internal Revenue Service announced today. However, to collect the money, a return for 2009 must be filed with the IRS no later than Monday, April 15, 2013. The IRS estimates that half the potential refunds for 2009 are more than $500. Some people may not have filed because they had too little income to require filing a tax return even though they had taxes withheld from their wages or made quarterly estimated payments. In cases where a return was not filed, the law provides most taxpayers with a three-year window of opportunity for claiming a refund. 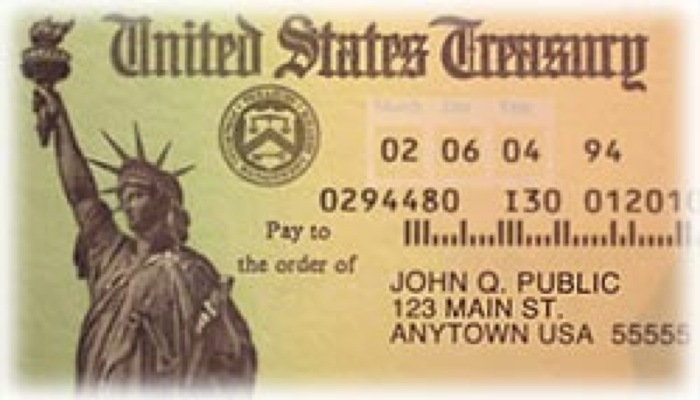 If no return is filed to claim a refund within three years, the money becomes property of the U.S. Treasury. For 2009 returns, the window closes on April 15, 2013. The law requires that the return be properly addressed, mailed and postmarked by that date. There is no penalty for filing a late return qualifying for a refund. The IRS reminds taxpayers seeking a 2009 refund that their checks may be held if they have not filed tax returns for 2010 and 2011. In addition, the refund will be applied to any amounts still owed to the IRS or their state tax agency, and may be used to offset unpaid child support or past due federal debts such as student loans. $13,440 ($18,440 if married filing jointly) for people without qualifying children. For more information or to file a previous year return contact your tax professional. It is never too late to correct a wrong and it might even be worth cashing in on. Remember refunds are based on earnings you worked hard for, why throw them away? Hickey&Hickey is a full service tax, accounting and consulting firm here to help all your individual and business needs. Reach out to us if you need assistance in your fiscal matters at info@hickeyandhickey.com or by phone (516)99807410. In the aftermath of Hurricane Sandy, the Internal Revenue Service announced additional tax relief to affected individuals and businesses. Following recent disaster declarations for individual assistance issued by the Federal Emergency Management Agency, the IRS announced today that affected taxpayers in Connecticut, New Jersey and New York will receive tax relief. Other locations may be added in coming days based on additional damage assessments by FEMA. 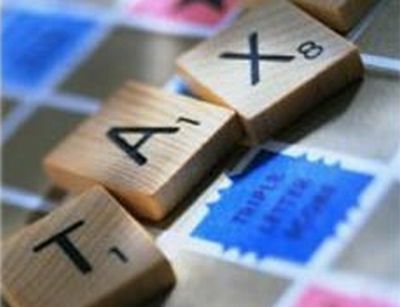 The tax relief postpones various tax filing and payment deadlines that occurred starting in late October. As a result, affected individuals and businesses will have until Feb. 1, 2013 to file these returns and pay any taxes due. This includes the fourth quarter individual estimated tax payment, normally due Jan. 15, 2013. It also includes payroll and excise tax returns and accompanying payments for the third and fourth quarters, normally due on Oct. 31, 2012 and Jan. 31, 2013 respectively. It also applies to tax-exempt organizations required to file Form 990 series returns with an original or extended deadline falling during this period. The IRS will abate any interest, late-payment or late-filing penalty that would otherwise apply. The IRS automatically provides this relief to any taxpayer located in the disaster area. Taxpayers need not contact the IRS to get this relief. Beyond the relief provided by law to taxpayers in the FEMA-designated counties, the IRS will work with any taxpayer who resides outside the disaster area but whose books, records or tax professional are located in the areas affected by Hurricane Sandy. All workers assisting the relief activities in the covered disaster areas who are affiliated with a recognized government or philanthropic organization are eligible for relief. The tax relief is part of a coordinated federal response to the damage caused by the hurricane and is based on local damage assessments by FEMA. For information on disaster recovery, individuals should visit disasterassistance.gov. The IRS wants to assure taxpayers, businesses and tax preparers that it is working aggressively to monitor the situation and provide additional relief as needed. In Rhode Island (starting Oct. 26): Newport and Washington counties. Make Sure to Consult with your Tax Preparer or Accountant on how these changes may affect you and how you are impacted by disaster relief. We know identity theft is a frustrating process for victims. We take this issue very seriously and so should you. Identity theft occurs when someone uses your personal information such as your name, Social Security number (SSN) or other identifying information, without your permission, to commit fraud or other crimes. How do you know if your tax records have been affected? Usually, an identity thief uses a legitimate taxpayer’s identity to fraudulently file a tax return and claim a refund. Generally, the identity thief will use a stolen SSN to file a forged tax return and attempt to get a fraudulent refund early in the filing season. You may be unaware that this has happened until you file your return later in the filing season and discover that two returns have been filed using the same SSN. What to do if your tax records were affected by identity theft? If you receive a notice from IRS, respond immediately. If you believe someone may have used your SSN fraudulently, please notify IRS immediately by responding to the name and number printed on the notice or letter. You will need to fill out the IRS Identity Theft Affidavit, Form 14039. For victims of identity theft who have previously been in contact with the IRS and have not achieved a resolution, please contact the IRS Identity Protection Specialized Unit, toll-free, at 1-800-908-4490. How can you protect your tax records? If your tax records are not currently affected by identity theft, but you believe you may be at risk due to a lost/stolen purse or wallet, questionable credit card activity or credit report, etc., contact the IRS Identity Protection Specialized Unit at 1-800-908-4490. How can you minimize the chance of becoming a victim? Don’t carry your Social Security card or any document(s) with your SSN on it. Don’t give a business your SSN just because they ask. Give it only when required. Check your credit report every 12 months. Secure personal information in your home. Protect your personal computers by using firewalls, anti-spam/virus software, update security patches, and change passwords for Internet accounts. Don’t give personal information over the phone, through the mail or on the Internet unless you have initiated the contact or you are sure you know who you are dealing with. WASHINGTON — The Internal Revenue Service today announced it is granting taxpayers and tax preparers affected by Hurricane Sandy until Nov. 7 to file returns and accompanying payments normally due today. The relief applies to taxpayers and tax preparers in an area affected by Hurricane Sandy or otherwise impacted by the storm that hit the Mid-Atlantic and Northeastern United States this week. This relief primarily applies to businesses whose payroll and excise tax returns and payments are normally due today. No action is required by the taxpayer; this relief is automatic. Regular federal tax deposits are due according to current rules. However, the IRS notes that if taxpayers or tax practitioners receive a penalty notice for this period, they can contact the IRS at the number on the notice to request penalty abatement due to reasonable cause on account of the storm. IRS expects to grant additional filing and payment relief as qualifying disaster declarations are issued by the Federal Emergency Management Agency (FEMA). 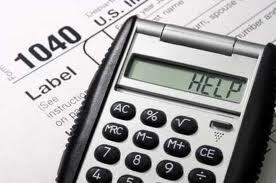 Details will be posted on the Tax Relief in Disaster Situations page on IRS.gov. We know identity theft is a frustrating process for victims. Follow these Tips for Protecting your Identity this Tax Season. 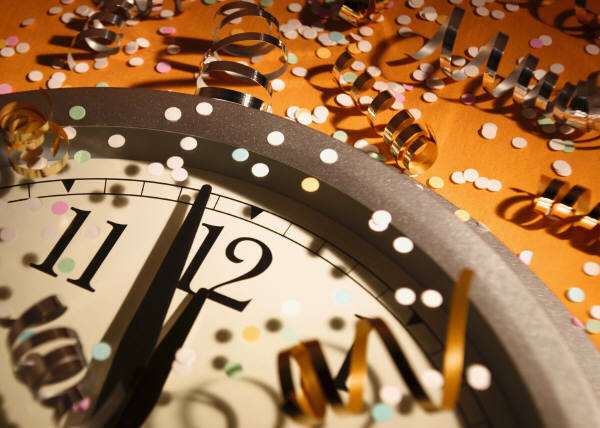 Worried all tax saving options have been exhausted once the clock struck midnight on New Year’s Eve? Yes, most money-saving options to defer income or claim deductions become a great deal more limited after December 31, there is still a number of things you can do to make the tax-filing season cheaper and hassle free. There is still time to fund your IRA for the 2011 Tax Year make sure to do so by April 17, 2012. That’s the deadline for contributions to a traditional IRA, deductible or not, and to a Roth IRA. If you file an extension however, and you have a Keogh or SEP and you have October 15, 2012 (the filing extension deadline, it allows you more time to put 2011 contributions into those accounts.) This kind of tax savings is both Deductible and Tax Deferred Investing the best kind of bang for your buck. For 2011, the maximum IRA contribution you can make is $5,000 ($6,000 if you are age 50 or older by the end of the year). For self-employed persons, the maximum annual addition to SEPs and Keoghs for 2011 is $49,000. Organization may not save you a big bucks on your taxes, yet it’s important to understand that every penny counts and they add up fairly quickly. Apart from minor savings it can also save you unwanted stress. For most getting all your papers in order come tax time is the biggest hassle. Having a Checklist of items you need to have your return completed goes a long way, things to include on that list are: previous year’s tax return, this year’s W-2s and 1099s, receipts and so on. 0.Keep all the information that comes in the mail in January, such as W-2s, 1099s and mortgage interest statements. Make sure to hold onto any tax-related documents, even if they don’t look very important. 0.Make sure you know the price you paid for any stocks or funds you have sold. Also knowing the purchase price and date is important, because you need to know the gain or loss on your investment. It is also important to declare as well as whether it is categorized into long term or short term investment. If you don’t, call your broker before you start to prepare your tax return. Know the details on income from rental properties. While it may be easier to take the standard deduction, it may be more worth your while if you itemize, particularly if you are self-employed, own a home or live in a high-tax area. It’s worth the effort when your qualified expenses add up to more than the 2011 standard deduction of $5,800 for singles and $11,600 for married couples filing jointly. Many deductions are well known, such as those for mortgage interest and charitable donations. Taxpayers sometimes overlook miscellaneous expenses, which include tax-preparation fees, job-hunting expenses, business car expenses and professional dues. Home office deduction rules have become more lenient to allow more filers to claim this break. People without a fixed location for their businesses can also claim a home office deduction if they use the space for administrative or management activities, even if they don’t meet clients there. Doctors, for example, who consult at various hospitals, or plumbers who make house calls, can now qualify. This space must be used exclusively for business. Taxpayers often avoid the home office deduction because it has been regarded as a red flag for an audit. If you legitimately qualify for the deduction, however, there should be no problem. Document, Document, Document! Have documentation that backs up the facts in the very in case scenario the Tax Man comes knocking on your door. Always be prepared but never shy away from potential savings. You are entitled to write off expenses that are associated with the portion of your home where you exclusively conduct business (such as rent, utilities, insurance and housekeeping). The percentage of these costs that is deductible is based on the ratio of the square footage of the office to the total area of the house. Be sure to include Taxpayer Identification Numbers (usually Social Security Numbers) for your children and other dependents on your return (work from the original card, numerical errors are common and delay processing.) Otherwise, the IRS will deny the personal exemption of $3,700 for each dependent and the $1,000 child tax credit for each child under age 17. Special exceptions apply in terms of 1st time I-TIN applicants applying as a dependent. Be especially careful if you are divorced. Only one of you can claim your children as dependents, and the IRS has been checking closely lately to make sure spouses aren’t both using their children as a deduction. If you forget to include a Social Security number for a child, or if you and your ex-spouse both claim the same child, it’s highly likely that the processing of your return will be affected, including your refund. Also be sure to have documentation for your childcare expenses including proof of payments. If you can’t finish your return on time, make sure you file an extension by April 16, 2012. Filing an extension gives you six-month to file your income taxes (October 15, 2012.) On the form, you need to make a reasonable estimate of your tax liability for 2011 and pay any balance due with your request. This saves you in interest and penalties that accumulate and are often assessed which can often be at a much higher rate. Remember to file an extension with your state where applicable, many of these filings may be done online with ease. Electronic filing works best if you expect a tax refund. Because the IRS processes electronic returns faster than paper ones, you can expect to get your refund three to six weeks earlier. Furthermore Tax Return Preparers are required to file electronically and some states charge penalties for non-compliance both to the tax payer and their preparer. Electronically filing cut down on preparer fees, mailing costs and facilitates ease of transaction. If you owe money, you can file electronically and then wait until the federal tax filing deadline to send in a check along with Form 1040-V (a voucher slip for payments.) You may be able to pay with a credit card or through a direct debit. Make sure to mail to the correct address, often sending payments alone without a report is processed at a different address be sure to read the filing instructions carefully. 0.With a credit card, expect to pay a service charge of as much as 2.5 percent. 0.With direct debit, you may delay the debiting of your bank account until the actual filing deadline. Make sure when committing to a Tax Preparer or Accountant that you are comfortable with the choices they made, ask questions (there are none too small,) and make sure they are willing to sign your return. Remember you are liable for the information reported so be sure you understand what you are signing. Charitable Contributions Last Chance Before Year’s End! We are getting closer and closer to year end and we are ready to help our most beloved charitable organizations but……do we know which of them qualify for deductions? A community chest, corporation, trust, fund, or foundation organized or created in or under the laws of the United States, any state, the District of Columbia, or any possession of the United States (including Puerto Rico). It must be organized and operated only for one or more of the following purposes. The prevention of cruelty to children or animals. Certain organizations that foster national or international amateur sports competition also qualify. War veterans’ organizations, including posts, auxiliaries, trusts, or foundations, organized in the United States or any of its possessions. Domestic fraternal societies, orders, and associations operating under the lodge system. Note. Your contribution to this type of organization is deductible only if it is to be used solely for charitable, religious, scientific, literary, or educational purposes, or for the prevention of cruelty to children or animals. Certain nonprofit cemetery companies or corporations. Note. Your contribution to this type of organization is not deductible if it can be used for the care of a specific lot or mausoleum crypt. The United States or any state, the District of Columbia, a U.S. possession (including Puerto Rico), a political subdivision of a state or U.S. possession, or an Indian tribal government or any of its subdivisions that perform substantial government functions. Note. To be deductible, your contribution to this type of organization must be made solely for public purposes. Example 1. You contribute cash to your city’s police department to be used as a reward for information about a crime. The city police department is a qualified organization, and your contribution is for a public purpose. You can deduct your contribution. Example 2. You make a voluntary contribution to the social security trust fund, not earmarked for a specific account. Because the trust fund is part of the U.S. Government, you contributed to a qualified organization. You can deduct your contribution. Examples. The following list gives some examples of qualified organizations. Churches, a convention or association of churches, temples, synagogues, mosques, and other religious organizations. 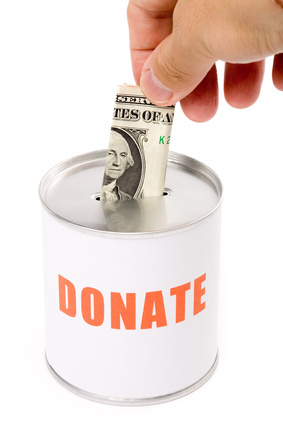 Most nonprofit charitable organizations such as the Red Cross and the United Way. Most nonprofit educational organizations, including the Boy (and Girl) Scouts of America, colleges, museums, and daycare centers if substantially all the childcare provided is to enable individuals (the parents) to be gainfully employed and the services are available to the general public. However, if your contribution is a substitute for tuition or other enrollment fee, it is not deductible as a charitable contribution, as explained later under Contributions You Cannot Deduct. Nonprofit hospitals and medical research organizations. Utility company emergency energy programs, if the utility company is an agent for a charitable organization that assists individuals with emergency energy needs. Public parks and recreation facilities. Canadian charities. You may be able to deduct contributions to certain Canadian charitable organizations covered under an income tax treaty with Canada. To deduct your contribution to a Canadian charity, you generally must have income from sources in Canada. See Publication 597, Information on the United States-Canada Income Tax Treaty, for information on how to figure your deduction. Mexican charities. You may be able to deduct contributions to certain Mexican charitable organizations under an income tax treaty with Mexico. 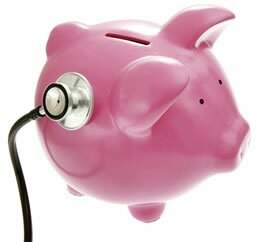 The organization must meet tests that are essentially the same as the tests that qualify U.S. organizations to receive deductible contributions. The organization may be able to tell you if it meets these tests. We are approaching year’s end. In addition to landing those key deals and finalizing some year end business , it is also time to get your business in order. You want to prepared and equipped to do business heading to the new year. As a small business owner, you may have a million of daily tasks already here are a few extra that will make life easier in the new year. 1. Update Your Bio and Resume. With one year closing and a fresh new one on the rise, taking a moment to look back on all your achievements does several things. One it sets a tone of accomplishment and gears you up for future successes. Two it allows you to leverage those milestones and achievements into expanding your business and assuring credibility in the business community. If you have won any awards or have been written up in the media or even launched any new lines of business. These should be written up in your Bio that you have on file (for speaking engagements, awards, events etc.) as well as highlighted on your profile on Linkedin and other social media profiles. 2. Create 2012 Folders. Create new files in your computer for all of the key files that you use on a regular basis. This is also a great time to start backing up your files if you are not doing so already. Check out my article on preparing for a disaster for tips. 3. Update Your Pricing. If you haven’t raised your prices in over two years due to the recession, it’s time to revisit all of your costs and make sure that your are pricing to make a profit. Depending on your industry some price models to consider apart from hourly and flat fee is that of value pricing. Examine what works for your and your clients as well as your target audience. 4. Update Your Website. In the new year make sure your website or blog has a new look. Even adding a new header graphic can make a big difference. Create new ways to engage your target customers. That maybe small things from more social media interaction, answer questions online etc. 5. Do a ‘What was I thinking?’ audit. Make it a habit once or twice a year to scroll through your checking account or major receipts to see what you’re spending on. If you’re buying things you don’t really need, use the information to stop yourself from making similar purchases in the future. Also make sure that those expenses are within your budget, if you have big expenses that are busting your budget and hurting your bottom line, ditch ’em. 6. Go paperless. Read magazines and newspapers online or at the library. Sign up with 41pounds.org to take yourself off of catalog and junk mail lists that may lead to unnecessary purchases. 7. Consider the tax impact of any 2011 transactions Did you sell any real property this year – or do you plan to before the year ends? Did you start a business? Are you thinking about exercising a stock option? Could any large commissions or bonuses come your way before the end of the year? Did you sell an investment that was held outside of a tax-deferred account? Any of these moves might have a big impact on your taxes. Even a pre-pay on a mortgage for January will impact your taxes. 8. You may wish to make a charitable gift before New Year’s Day.Make a charitable contribution this year and you can claim the deduction on your 2011 return. 9. Collect Updated IRS Forms.Make sure you get up-to-date W-9 forms and/or W-4 on all freelance and full-time employees. The IRS requires that W-2 and 1099 forms be mailed by Jan 31, 2011 to all workers paid over $600 this calendar year. On a side note make sure you have a contract for a freelance or contractors on file, make sure your employee classification is also accurate to the worker. 10. Get a New Professional Headshot. If you have changed your appearance in any way, you need a new head shot. Be sure to get it professionally done, that includes makeup where applicable. 11. Develop a 2012 Target Customer List. You should have a list of target clients you want to have. Also really hone in on your target audience define and redefine what are the best customers for the service or product you offer and track your marketing campaign in the new year to make sure you are reaching out to these customers. 12. Determine How You Will Keep In Contact With Your List. The most valuable thing in your business is your potential and existing customer lists. You should plan how and when you will communicate with your target customers. Options include email, video posts, direct mail, phone calls, special offers/ coupons. Remember to check back in with marketing strategy to be consistent in your image and branding.